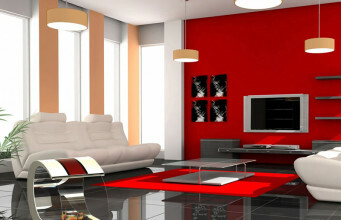 Modern interior, usually very minimalist, needs accents and accessories determining the shape of the whole. 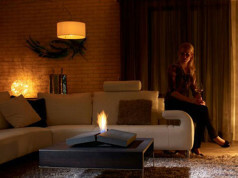 A great idea for the interior design may be an Elipse bioethanol fire by Decoflame. Model is available in two colours: black and white. 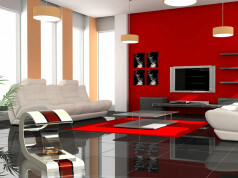 Each colour is also available in matt or polished, full gloss version. The inner and outer side of the housing may have different colours. They can be mixed according to the customer’s wishes. 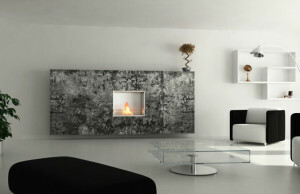 Therefore, it fits into every modern interior, where the predominant colour is black or white. 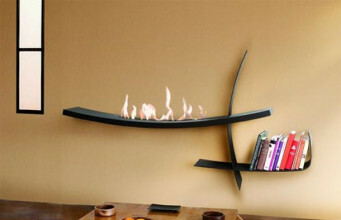 Bio fire is designed for being suspended on the ceiling in any place. 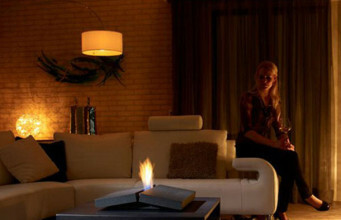 It can be rotated so that the burner is seen from anywhere in the room. 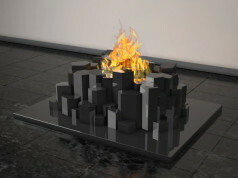 Bioethanol fire is equipped with hardened glass panes that can be mounted on both sides. The producer offers also a standing model with stainless steel feet. 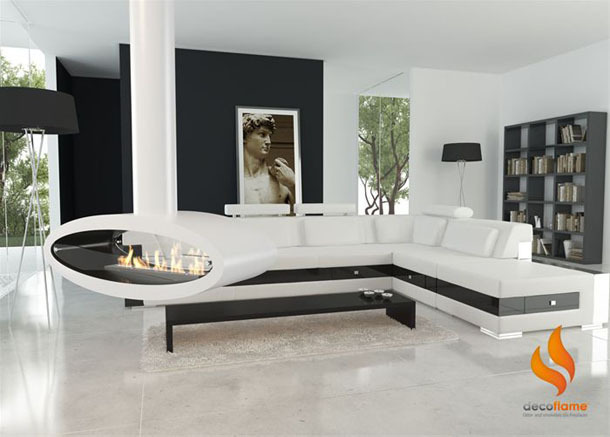 Interesting shape of the bioethanol fire, the possibility of mixing contrasting colours and the degree of gloss on the housing makes the product a great complement to, usually simple in form, modern interiors. 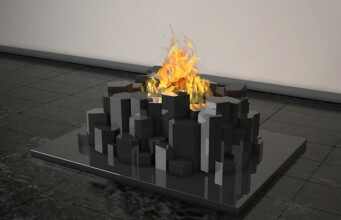 It will certainly enliven and diversify the interior and of course attract the visitors attention. It can serve as a central point of the living room, especially a ceiling mounted version. 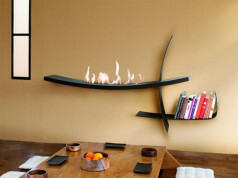 How to choose a fuel for the ethanol fireplace?